As mentioned in our first article of the season (Army 2017 Season Top 5 Plays), I’m excited to bring additional commentary from John Szott, ‘14 Grad and reformed Army offensive lineman. He will offer his insight and another point of view with “Szott’s Fixed Opinion.” If you don’t get that reference, it’s time to review that plebe knowledge book. Anyways, on to the good stuff! This will be the fourth year in a row that Army and Duke go head to head. The contest will be front and center on ESPNU, Friday at 7PM. The last season road opener for the Black Knights (in 2016) was a 28-13 victory over Temple at Lincoln Financial Field. Last year, the Black Knights led the FBS in rushing with 362.3 yards per game. We accumulated rushing yards like you hoarded Cliff Bars during TEE Week. Unfortunately, we lost our top rusher from a season ago to the NFL…sorry….I meant the BCT. The departure of QB Ahmad Bradshaw, who set the single-season service-academy rushing record, will definitely have an early affect on the offense. Duke enters the season with some of the highest expectations in recent memory as Coach Cutcliffe enters his eleventh year. Justifiably, Duke is being discussed as a potential Coastal Division champion with three returning All-ACC players (two All-Americans and one freshman All-American). After a promising 4-0 start last season, the Blue Devils slumped into a six game losing streak after being defeated by the Black Knights. They were able to bounce back and finish the season strong by winning their last three games, including a convincing win over Northern Illinois in the Quick Lane Bowl. Quarterback Daniel Jones is back after throwing for 2,600 yards a season ago. Their offense welcomes back two of its top three rushers and its top two receivers from last year. The Blue Devil defense also returns three of its top four tacklers. Coming off the best season in 20 years, the Cadets have confidence. Knowing how to win and doing it consistently over the last two years means something in College football, especially for a team with less talent than opponents. Army averaged 27.3 points/game in 2017 against FBS Teams with Winning Records and they return 8 starters on defense. Although the Cadets only return six starters on offense, the system is more important than the player. If the offense can compensate for losing four of it’s five starting lineman (returning all four fullbacks from last year is a huge help), the reloaded defense may be able to contain the Blue Devils. Sloppy Week 1 play should give the Black Knights the opportunity to generate a couple of turnovers. The Cadets can win if they implement the formula of success from last year: Limit Opponent Time of Possession + Zero Turnovers + Score at Least 27 Points. Szott’s Fixed Opinion: This season-opening matchup provides little to no warmup time for an Army offense experiencing significant personnel changes. Much like the Buckner Zip Line, there can be no hesitation and no slip-ups (or they will be met with a resounding THUD!). Win the line of scrimmage. Swarm the ball. Dominate the turnover battle. Duke is 6-3 against triple-option teams over the past five seasons. Cutcliffe has figured out a good blueprint to defend the scheme. It also helps that they return 15 starters from last year, including a few All-Americans. The Black Knights offense will likely not be as good with the departure of the Ahmad Bradshaw and four offensive lineman. Duke, on the other hand, returns experienced Quarterback Daniel Jones in his third year as starting quarterback. A nationally televised home opener, with the opportunity to avenge last season’s loss, should propel the more talented Blue Devils to victory. Szott’s Fixed Opinion: This is absolutely a revenge game for the Blue Devils. The Army-Duke rivalry has grown strong over the past few seasons breeding familiarity (and some contempt I’m sure). Monken has even said this game feels more like a conference matchup. This means the effect of the triple-option has worn off. 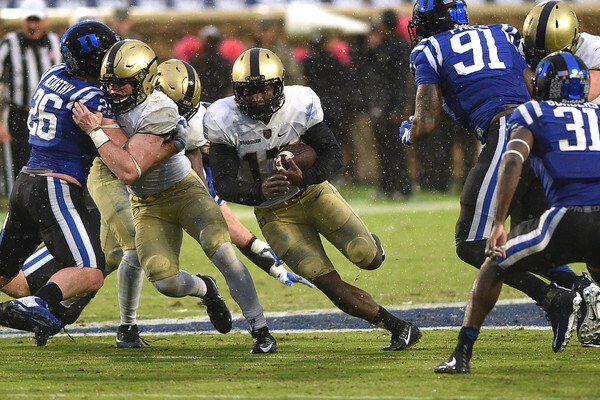 With a whole off-season to prepare, Cutcliffe’s veteran squad knows the assignments which will slow down Army’s ground attack. Also, Duke is playing at home under friday night lights giving them more reason to come out fired up. All in all, the Blue Devils have a lot going for them in this season opener. As much as it pains me to say this, I do not see many scenarios where the Black Knights are able to outlast the Blue Devils. Each year, Army is going to lose some games. Naturally, using my PR102 Formula Sheet, I calculate them conceding 3-4 games throughout the year. In the contest last year, Duke turned it over twice and allowed a blocked punt to be returned for a touchdown. Even if they are mistake prone like last year, I don’t think the Cadets can win on the road against the Power Five during a Friday home opener. 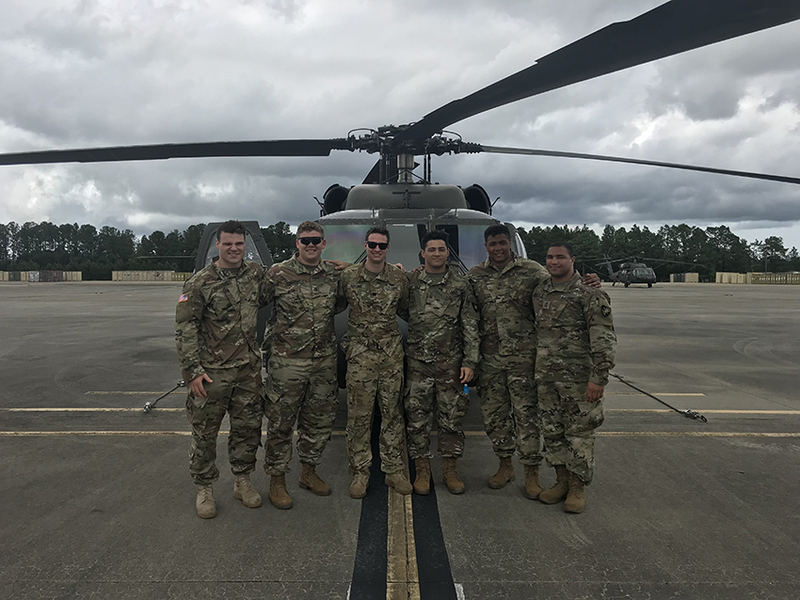 As you read this, an Army Football Player realized that he has to make up six assignments, two writs, and a WPR for the two days of classes that he just missed. I will gladly eat my own words if the Black Knights can find a way to win. I apologize to all the awesome guys that I got to fly around from the Brotherhood this summer during CLTL. We have quality players and men on this team and are in for another great year. Duke wins, but the Cadets cover the spread. Szott’s Fixed Opinion: Being the eternal optimist when it comes to Army Football (a historically painful outlook, I know), I find it extremely difficult to concede a contest before kickoff. I recognize the challenge that Duke presents but I believe in Army Football. I believe in the culture change that Monken has cultivated. Army will come out ready to play and with the help from some Duke mistakes (and Monken tricks) the Black Knights will win in Durham. And for the record, I find the spread to be completely insulting to the season Army had last year.